Our innovative DNA test kit analyzes 7 dermatology categories to help you create a roadmap to better, healthier skin and improve skin care. The easy-to-understand and personalized genetic report gives you the information you need to proactively address your skin health. Your genes play a big role in the health and appearance of your skin and how you should approach skin care. 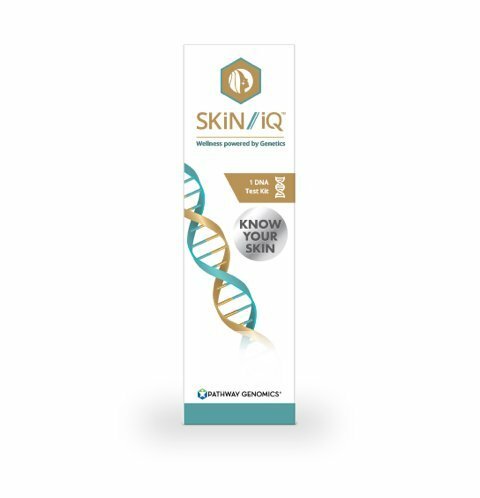 By understanding your genetic predisposition to wrinkles, cellulite, inflammation, and other skin conditions, you can make positive changes to eliminate, reduce, or delay symptoms with insight from the 13 skin traits included in this DNA test. Discover how your skin may respond to sun exposure. Learn if you are predisposed to troublesome skin conditions. Discover if you are at risk for skin redness, itchiness and pain. Find out if you are predisposed to dry skin. Find out how well your skin may respond to harmful agents. Discover if you are at risk for advanced skin aging. Learn what micronutrients you may need. SKiN iQTM was developed in partnerships with major dermatology and aging science research groups at Stanford, Berkeley, The Salk Institute, and New York University. To learn more about SKiN iQTM, visit us at www.pathway.com/skin-products! ENABLE PROACTIVE SKIN CARE: By understanding your genetic predisposition to skin conditions, you can make positive changes to eliminate, reduce, or delay symptoms. PERSONALIZED SKIN GENETIC PROFILE: Our DNA test analyzes 7 categories of skin health - aging, texture, inflammation, hydration, oxidation, glycation, and nutrition. FIND THE RIGHT SKIN PRODUCTS: Gain insight into which skin nutrients and topicals will benefit your skin the most. A SIMPLE PROCESS: Register your DNA test kit, collect the cheek swab sample, mail it in our prepaid envelope, and receive your personalized genetic test report in 4-6 weeks. LEARN MORE ABOUT SKiN iQTM: Visit us at www.pathway.com/skin-products. If you have any questions about this product by iQ Products, contact us by completing and submitting the form below. If you are looking for a specif part number, please include it with your message.